In a world with rapidly evolving technology, will our students be prepared for the challenges of tomorrow? It’s clear that engaging and inspiring more students to choose a career in Science, Technology, Engineering and Math (STEM) fields is essential to our nation’s competitiveness. An important step in that journey is to increase scientific and engineering literacy in the classroom and provide access to all kids. A new national set of guidelines called the Next Generation Science Standards (NGSS) sets out a model to do that. 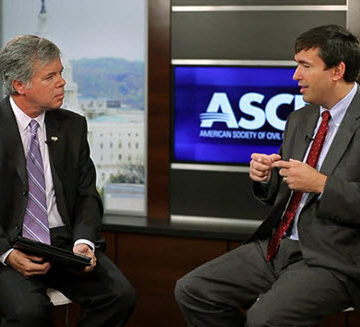 In the second segment of the new ASCE Interchange video series, ASCE Senior Managing Director Casey Dinges talks with Stephen Pruitt, Senior Vice President at Achieve, Inc., and project lead in the development of the Next Generation Science Standards (NGSS). 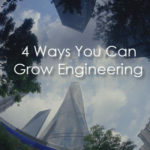 As a prominent authority on STEM education, Stephen explains that these educational guidelines now include engineering as an exciting new part of pre-college education. The standards will help engage students in the engineering design process from Kindergarten all the way up through high school and teach students to understand the criteria and trade-offs that are always part of applying science to practical applications. It’s important to note that these new guidelines are a voluntary state-led effort, with 26 states having participated in the standards development process, with actual adoption then being an additional step. As an engineering professional, you can learn more by watching the ASCE Interchange video, then visiting the NGSS site and reading the standards. You can also check and see if your state was a lead state partner. If you’re interested in impacting the next generation, there’s more you can do. Volunteer at your local school and become a career role model while you share your love of engineering and help bring those classroom lessons to life. 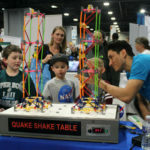 Or take part in science and engineering outreach efforts at local institutions, such as science centers and museums. The possibilities are endless, and ASCE has resources to help you contribute. How do you personally think we can help improve scientific and engineering literacy and access for all kids? What types of STEM programs have you seen make a difference in your community? 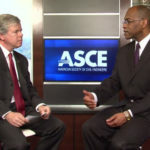 Watch for a new episode each month — see them at www.asce.org/interchange. ASCE Interchange is brought to you by Contech Engineered Solutions, a leading provider of site solutions for the civil engineering industry. Contech’s portfolio includes bridges, drainage erosion control, retaining wall, sanitary, stormwater and wastewater treatment products. For more info, visit www.ContechES.com or call 800-338-1122.